Or as my husband calls them…room perfume…as one batch of these and your whole house will smell of a delightful mixture of garlic, warm bread and cheese. 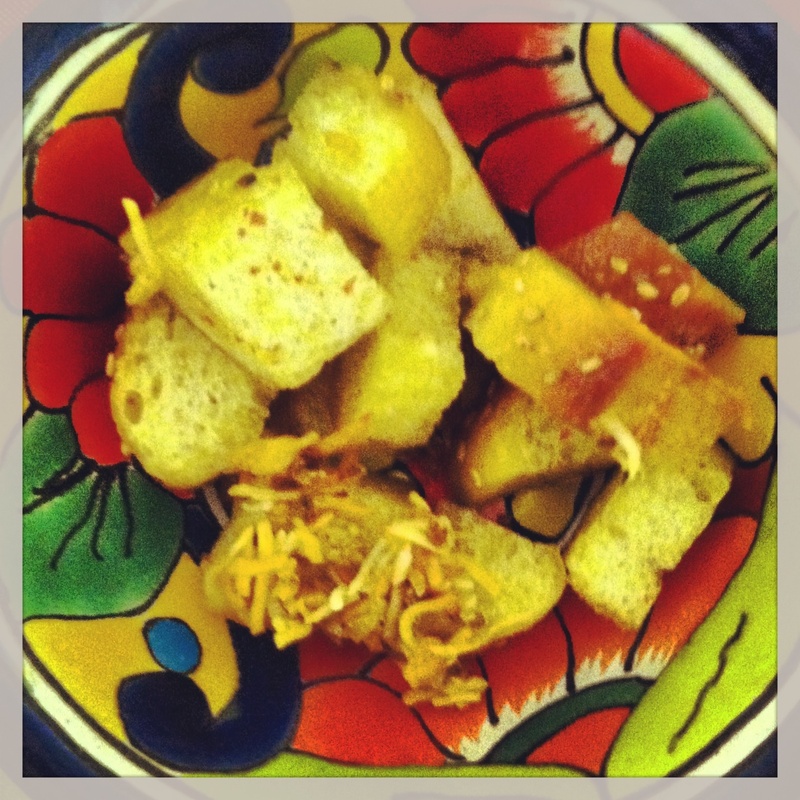 Croutons are one of life’s small pleasures. For some reason, I used to REALLY hate them. Crunch on a salad, amidst all that lovely green and pops of colorful veggies? Why would you DO that?? Then I had one. One of my mom’s actually. She makes them with stale bread, mixes together I’m not sure what, and when they come out, they’re crunchy on the outside and chewy on the inside…perfect. Easy peasy better than…pie? Not sure about that, but really good all the same.